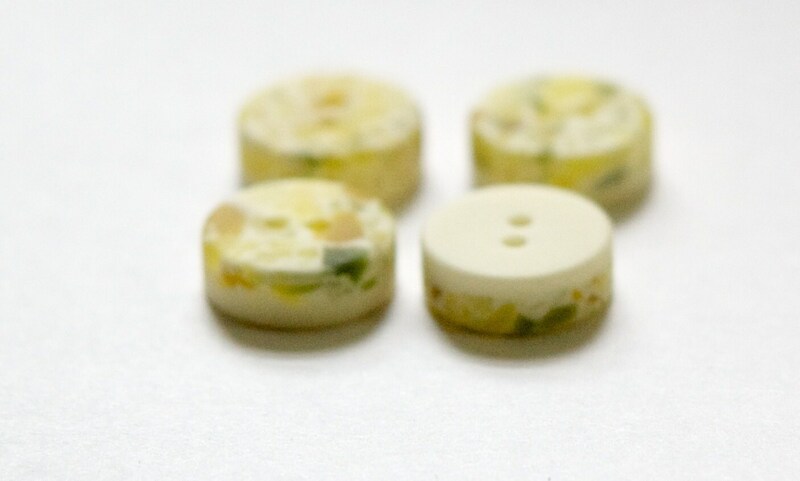 Color: Cream base with yellow and green inclusions. Quantity: 4 buttons per package. Additional information: Some buttons may be on their original cards. Please note: The color may vary on different monitors and/or in different lighting. 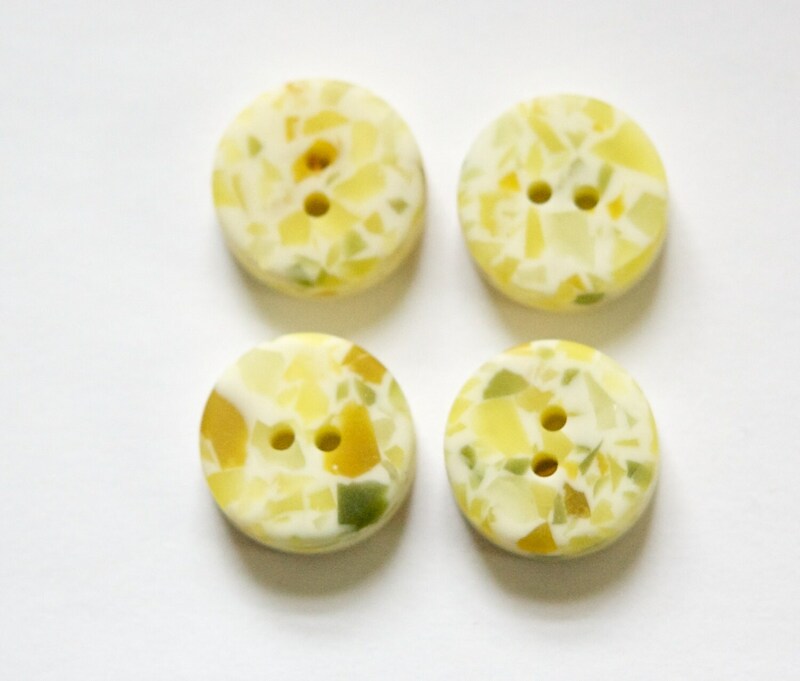 These will be great for making earrings. And in sunshiny yellow, too!